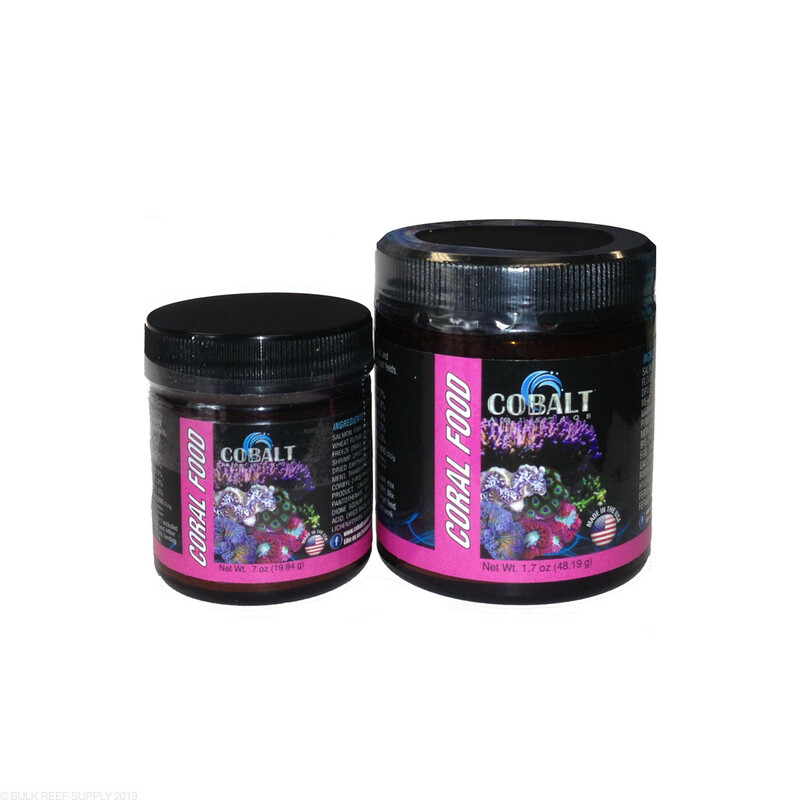 Cobalt Aquatics Coral Food is a complete nutrition source for your corals in an easy to feed powder. Feeding Instructions: For 20 gallon tank - Mix 1 included spoonful into 1/2 cup tank water. Pour in or target feed. Begin with 3 feedings a week and adjust as necessary. We got some of this as a sample, and now are ordering it. I started using it more just for 'fun' because it was there, but both soft and hard corals seem to love it. As well as the inverts go crazy when it's feeding time. We use it every other day, every 3 days and do a pretty big feeding with it and our growth has been phenomenal. Im still new to coral and coral feeding but this is the first coral food that i used because my LFS had some. I havent noticed any substantial growth of corals but the fish and filter feeders seem to like it, ive noticed that after i add it to the tank my cave cucumber extends its filter fans and my clams open up and the fish seem to swim around and eat it.